You intuitively know that radio is under attack from all forms of media for consumer attention. It’s not just other radio stations battling for those quarter hours. Anything that takes listeners away from your radio show is the enemy. That’s why top of mind awareness (TOMA) should be your highest priority. And that’s why you should be a fan of features. Well-branded features help win the war for attention by increasing TOMA. You don’t decide to go to a movie, show up at the cineplex and then decide what to see and when to see it. No. Instead, you make an appointment to see a particular film at a specific showing. When’s the last time you decided to go to a concert, and set a course for a venue without knowing who’s playing? Or whether there is even a band scheduled that night? Your friend doesn’t text to say, “Let’s go see a sporting event. There’s always something good at the sports arena.” You make specific plans to see a specific game on a certain day and time. Sure, you may turn on the television and start surfing for something to pass time. But probably not. Not anymore. Usually, you have an idea of what you want to watch. And you probably are making an appointment with your DVR or an on-demand service rather than taking your chances of finding “something good” on TV. Radio is no different. Yet most radio shows seem to put their hopes on being funny, friendly and likable. They take are to talk about the right topics each day. Sorry, but in a world where everyone is competing for increasingly precious attention, you have to stand out and provide something specific. You need your own version of Carpool Karaoke, James Corden’s wildly popular feature from his late night talk show. Features provide a content container listeners can quickly understand and relate to. There are two critically important benefits. First, features provide instant recognition and familiarity. By managing each feature as a mini-brand, your audience gets to know what you do and what to expect. A great story about a relationship has value, and might be highly compelling. But put that same story inside a feature, and it takes on a new significance. Research studies with dial tests clearly show positive response as soon as a branded feature begins. Respondents don’t even know what the story is about, but they anticipate it will be good, because they’ve heard it before and know they like it. Everyone remembers Roseanne. The show dates to an era when most people watched the same hit shows and liked them enough to make them hits. The more choices you have, the more the hits rise above the noise. 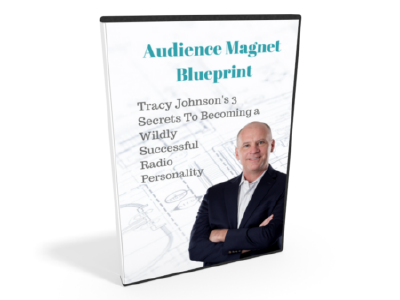 So how can you create more hits on your radio show? By harvesting listener attention and interest with branded segments that build anticipation through familiarity. Isn’t that more logical than taking your chances by starting over every time you turn on the mic? Should You Have a Psychic on Air? There’s a ratings bonus for the familiar and dependable, and features will build equity that can lead to significantly more tune in. Just as movies list the start time for the featured film, features on the air act as a reminder to tune in at specific times. It doesn’t matter how consistent your performance is if the audience doesn’t remember to tune in. In some cases, the branded feature becomes creates enough habit tune in to become even more popular than the personalities on the show performing the feature. And that’s okay! The general public is more aware of Carpool Karaoke than the personality who does it. But James Corden enjoys the benefits of the feature’s popularity, doesn’t he? But, just having a feature or two on the air isn’t enough to win the war for attention. Your features also have to be worthwhile. They must be hits! And they have to complement your personality strategy. A well-rounded show can manage a feature in each of those four categories. If you’re just starting out, pick one or two and specialize in those areas first. As your brand advances through the 5 stages in the Personality Success Path and you become established, expand to features in more categories. Thousand Dollar Minute: This is a highly popular game that is easy to play and generates tons of play along value. It’s ideal for solo shows. Heads Up: If you’re a multi-personality show that wants to add an interactive game and a spirit of character-defining competition, this is the game for you. Celebrity Gossip: A standard feature for many pop stations, a regular update on the most pop culture or Hollywood information is attractive for the right audience, if you put the right personality into it. Style and Fashion: For female targeted stations, this can be a fantastic (and under-served) opportunity. Sports Insider: Male-targeted stations often report on the top sports stories, but you will stand out when you offer personality, commentary and inside information. The Phone Jibba: Prank calls are great, if you can do them well. If not, get this feature on your station before it’s on your competition. Contact me for details if you’d like to add it to your station. Tough Love With Siri: A short, daily feature starring your personalities and the ever-present Siri answering tough questions about life and relationships. This is a plug-and-play benchmark for many stations that has never worn out with listeners. Ask Alexa: A cousin to Touch Love With Siri, but using Amazon’s Alexa. A witty, funny and interactive daily feature. Second Date Update: Relationship features are highly popular because of the relationship story listeners can follow. This is one of the most popular features on the radio. War of the Roses: Another winner. Even though it’s been around for awhile, don’t dismiss it. The simplicity and familiarity make this popular, even if you’re tired of it. Are These Features a Magic Bullet? These are great features that have a track record of producing tremendous results for radio shows. But they’re not magic. Execution and content curation are keys to success with each. The right feature attracts an audience that is exposed to your character. The attraction is because of what you do. But they become fans because of who you are. Your personality. As listeners get to know you through the feature, they start to discover and (hopefully) like who you are. With regular exposure, they become fans of your personality brand. That’s how a feature becomes your most valuable weapon in winning the war for attention. It’s not a magic bullet, but it’s a high caliber, powerful bullet. If you don’t have a One Thing feature on your show, it’s time to find one. If you have a great one that attracts an audience, consider using it more! You probably haven’t maximized it. And if you’re taking advantage of the popularity of big, well-branded features, cherish them and keep doing it. Don’t allow yourself to get bored or take them for granted. Do you need help or ideas to add a feature that can put you on the listener’s mind map? Let me know. I’ll point you in the right direction.